Aujourd’hui dans la boîte m’attendaient diverses choses plus qu’intéressantes. 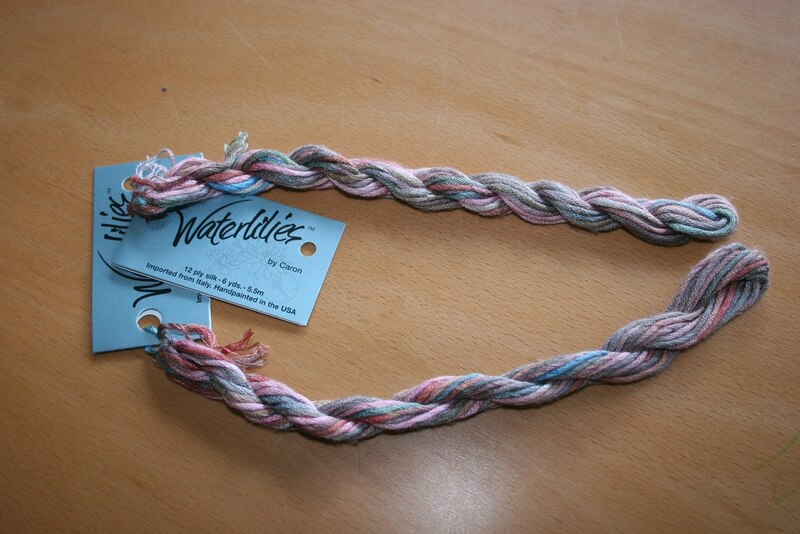 ainsi que ces superbes fils en soie de chez Caron, type Waterlilies, couleur « Navaro ». Une échevette fait 5 m, mais attention elle contient 12 brins. Et voilà, c’est ce que l’on appelle une belle et bonne journée. Heute hatte viele schöne Sachen im Briefkasten. 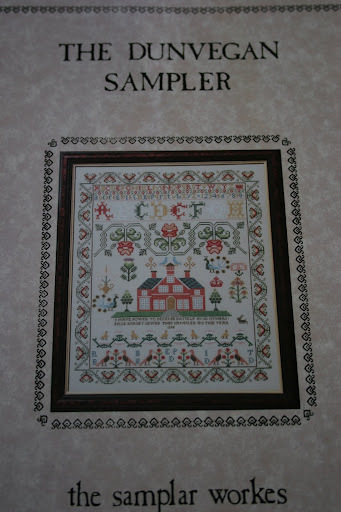 Ein Sampler und Seiden Garne Caron Waterlilies von dem Onlineshop « Les fils en Folie ». Die Seide ist wunderschön, handgefärbt und mit 12 Fäden. 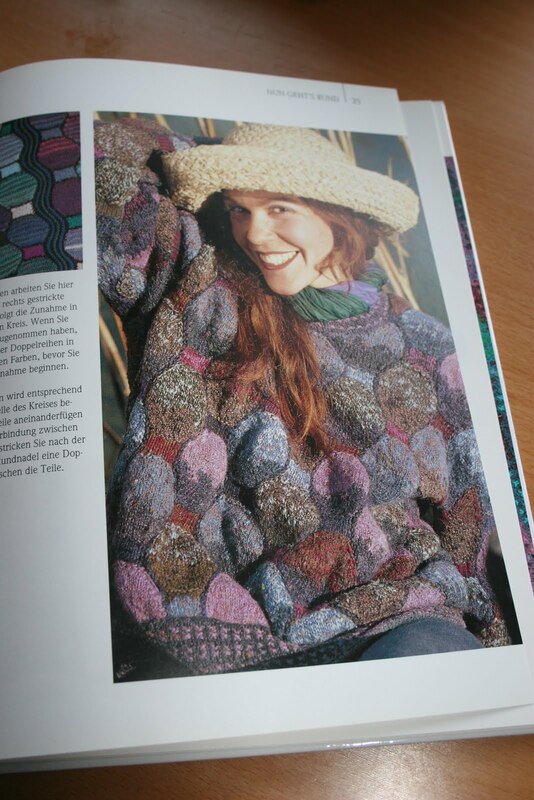 Dazu hatte ich ein Päckchen von Birgit « Die Wolllust » mit der Wolle Hot Socks Rainbow, um eine Jacke nach Horst Schulz Muster zu stricken. Das ist ein schöner Tag. 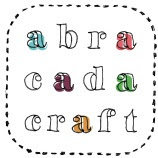 I received today some beautiful things to stitch and to knit. First, there were a Sampler and some silk threads by Caron Waterlilies, color « Navaro ». I wanted to try it for a long time, so now it’s possible. 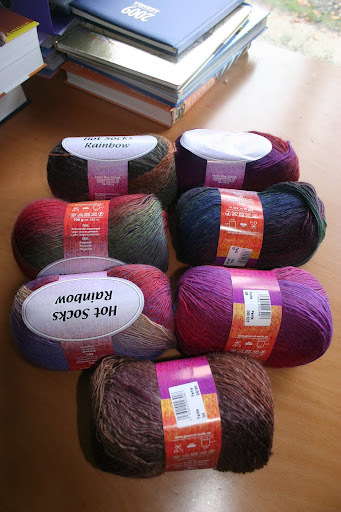 In the other packet, there was some yarn of Hot Socks Rainbow bought in Birgit’s shop « Die Wolllust » to knit a jacket from a pattern by Horst Schulz. That’s all folk for today.